Going to get down to Herm at the end of the week to try and see what I can catch in a 3 hr window I have. "Yes Dear I have to go to Hermosa Beach, It's the only place that has your V-day Present!" So with the double standard in place. From the research I can tell 28th St is a good starting point? Head North or South? If there is a better starting point then please do not hesitate to share it. Thanks for the info. Glad to see we have some new members! 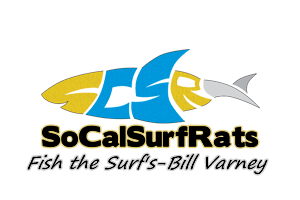 Here's a link to Hermosa surf, tide, and water temps. It looks as though there will a good tide swing this week. I would fish prior to the high tide. Be prepared. Hermosa is very slow right now. I have fished at the beach entrance near the "green store" I think it is 22nd street with only a few fish and they were dinks at that. I think you will have more luck at N. Manhattan/El Porto beach.